The worst idea I've had in a while was to cook and bake while I was fasting on Yom Kippur. I was already hungry when I started baking and I couldn't test out anything to make sure it actually tasted good. Still, later that day I was heading to my friend's place to break fast and to be a good guest, I wanted to bring something with me. 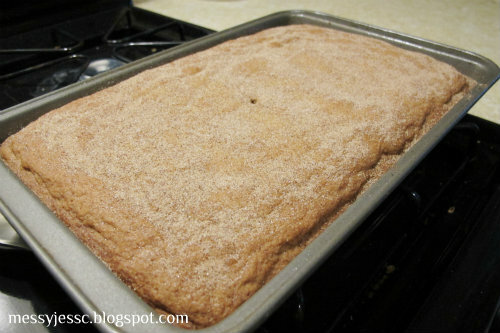 I chose this recipe - snickerdoodle bars - mostly because I had all of the ingredients in my kitchen already, but also because it was a simple recipe that didn't take much time, which meant less time drooling over the snickerdoodle smells in the kitchen while not eating. The bars disappeared in under 24 hours. Half were devoured at dinner and the other half by Jesse the next day, so I didn't have a chance to take any close-up photos of the final product, but they were delicious. I highly recommend making these. First preheat your oven to 350° and grease a 9" x 13" baking pan. 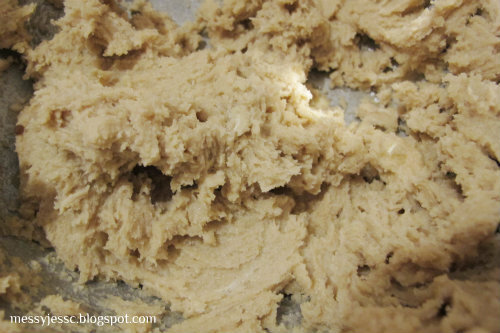 Next, using an electric mixer, beat the butter, brown sugar, and sugar until fluffy. 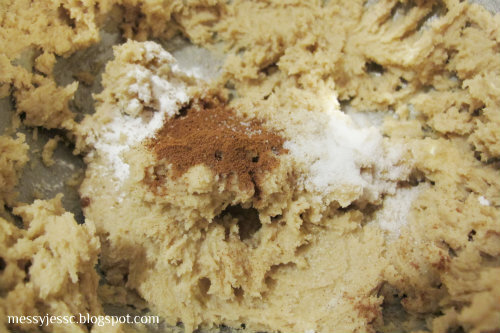 Next, add in your baking soda, cinnamon, salt, and mix until it's combined. 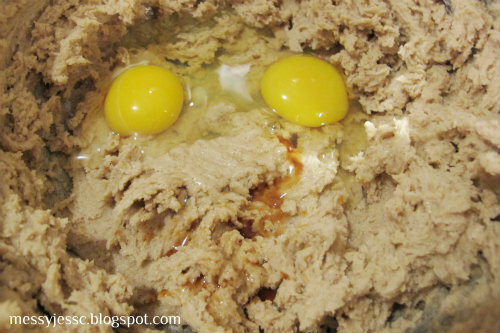 Then add in your eggs and vanilla and mix until combined. 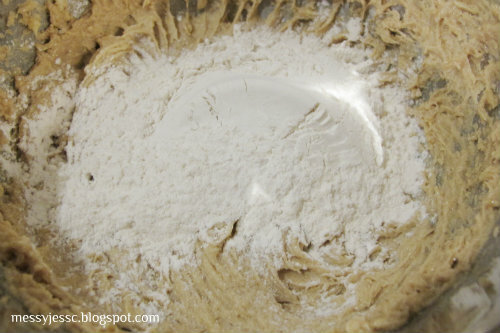 Finally, add in your flour, mixing it on a low speed until it's combined. 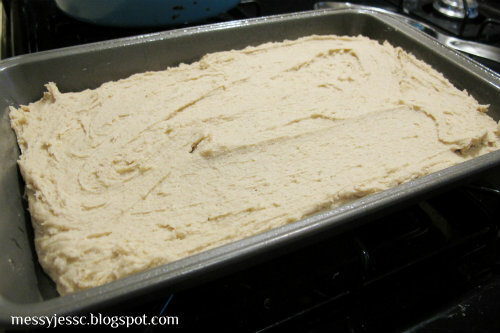 Next transfer your dough to the prepared pan, spreading the mixture evenly. Bake for 30 minutes, or until your snickerdoodle bars are set and lightly golden. Sprinkle the warm bars with cinnamon-sugar. Cool completely and then cut into bars and enjoy! Check out the recipe for snickerdoodle bars and other tasty recipes on my What's Cookin' page.